Go to your local greeting card shop and find the musical cards, the ones that play a song when you open it. 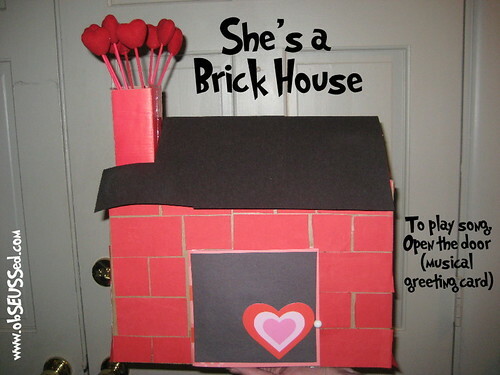 I found one that played "She's a Brick House" and I thought, "I can make a brick house out of a box and make the card into a door." So I had my kids help me put it together. This was for my husband to take to work for a Valentine Box contest. Go find a cute card and make your own mailbox with a door. 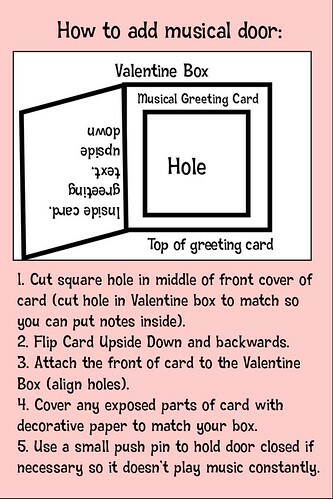 See the video of how the music plays when you open the door to put a valentine note inside. 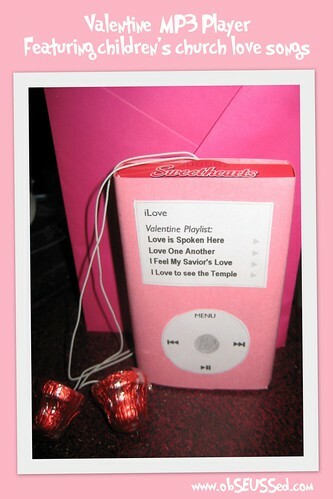 I found this super cute idea to make MP3 players out of candy boxes from Erin who blogs at Making Memories. 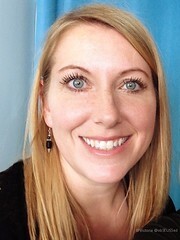 She posted a tutorial to make them with a link to Family Fun where you can print off a play list of more modern songs or type in your own play list. I decided to type in some children's church songs for our Primary. I also used bell shaped chocolate candy instead of the mini Reeses for the ear phones. This was super quick and easy to make. Click here for more details on the Valentine MP3 Player. 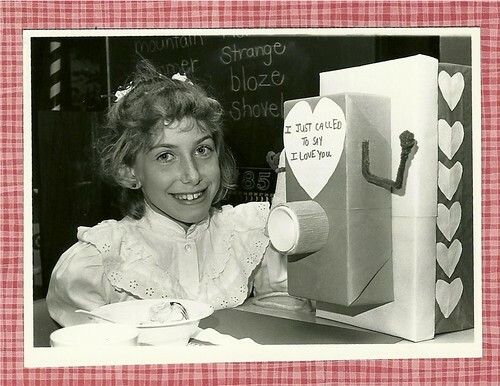 After seeing the ipod Valentine Candy Box I was inspired to create a more modern phone version of my 3rd grade Valentine Box. 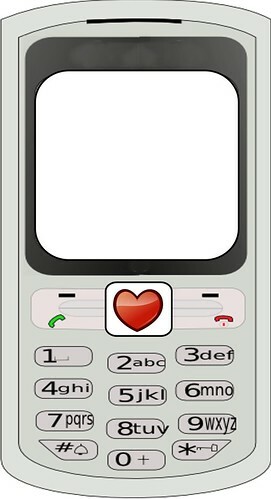 I found the clipart for the cell phone at Clker. Then I made several changes and added the text message "i just called 2 say i luv u". 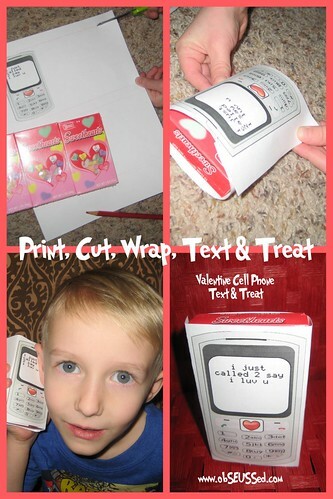 I put these in a pdf document so you can print your own and cut it as a strip to wrap around a candy heart box or cut just the phone area and glue to the top of a candy box. I also included one with a blank screen so you could make your own text message, and I left space for you to sign your name. 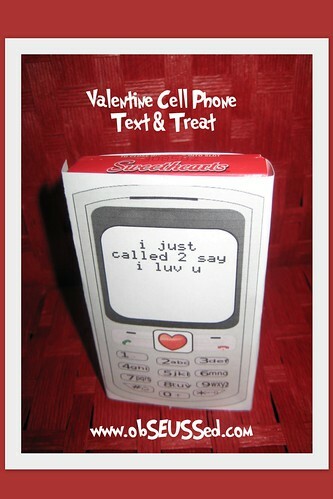 PDF of Valentine Cell Phone Text Message from ObSEUSSed. Or try this PDF link. If you want an iPhone wrap for the candy box check out Living Locurto's Free Valentine iPhone Printable. 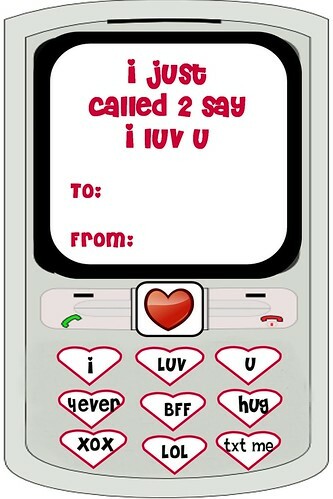 It looks just like an iPhone with special Valentine graphics! Here are a few of our favorite Valentine books to share with your kids. Find them at the library, then if you like them, grab a copy at your local book shop or online. Our kids love the Froggy's First Kiss by Jonathan London. He is so funny falling for Frogilina. Happy Valentine's Day (next month)! It's FUN to craft! Look at Me, I'm so Crafty party. So, so cute! All your ideas are awesome. Thanks for the link back on the mp3 player. So glad you liked them!!! Oh my word, those are darling! The file won't load. Can you help? Tim, sorry for any inconvenience. 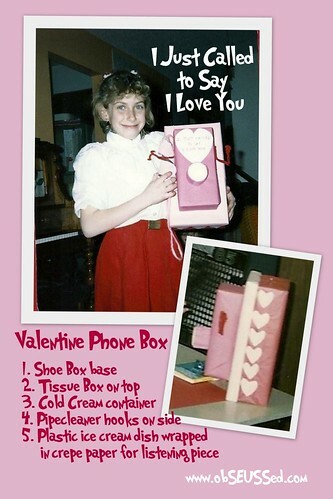 Are you clicking on the link that says PDF of Valentine Cell Phone? It should open a new window with the PDF document in it that you can print. It is working on my computer. Anyone else have problems? You can always right click on the cell phone in this post and copy and paste it into Word to print out. Fun seeing your childhood photo. Your kids look a lot more like you than I had realized!! These made me smile! What a fun range of Valentines messages! Brilliant! I love your Valentine's crafts! I have a hard time deciding on the things I want to do. There are so many great ideas out there that its hard to choose. And you compounded the problem!! Haha. Im really excited that I stumbled upon your blog. 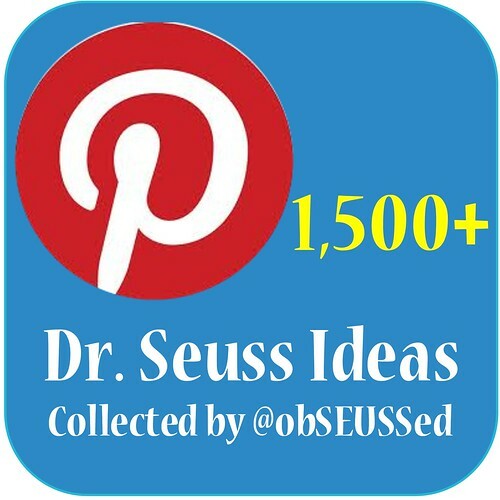 I love Dr. Seuss and I am planning on doing a literary themed month of learning with my son this February. Naturally, I've decided on Dr. Seuss. 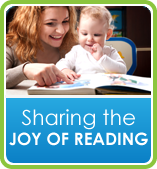 I'm excited about it, and excited about looking through your blog for ideas. Thank you! They are all soooo cute!!!! !